Hauteville House, Victor Hugo’s house and work of art. Built on the heights of Saint Peter Port, Hauteville House was the residence of Victor Hugo during his exile in Guernsey and the only property of the writer. Many masterpieces were written here – Les Misérables, Toilers of the Sea, The Man Who Laughs, The Legend of the Ages, Le Théâtre en Liberté, etc. 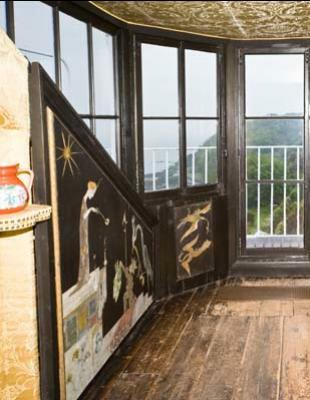 – and the house is also a work of art by its layout and décor, designed by Victor Hugo himself. Victor Hugo lived in Guernsey, one of the Channel Islands, for the last 15 years of a long 19-year exile. He was banished from France following the coup d’état by Louis Napoleon Bonaparte on 2 December 1851, and also expelled from Belgium in 1852 and from Jersey in 1855. He moved to Guernsey where he acquired Hauteville House in 1856, with proceeds from the sale of his collection of poems, Les Contemplations. Hauteville House remained in the family until 1927, when it was donated to the City of Paris by Victor Hugo’s granddaughter Jeanne Negreponte and the children of his grandson Georges Hugo, on the occasion of the centenary of the Romantic Movement. The house is built on 5 floors, topped with a belvedere and overlooks the old town of Saint Peter Port and Havelet Bay. Entirely furnished and decorated by the poet, the house and its contents reflect Hugo’s creative genius during his time in exile. The house which, in the words of Charles Hugo, is an “autograph on three floors and a poem in several rooms,” is a work of art in its own right, immersing visitors in a unique atmosphere. Victor Hugo gave a symbolic dimension to his house with references to his writing, philosophy and his vision of the world contained throughout. 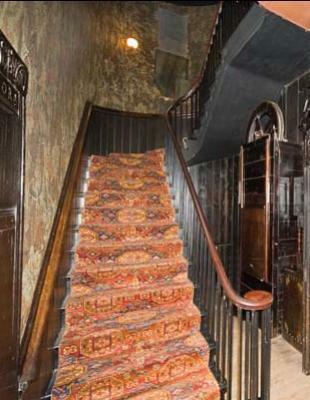 Visitors discover this in a tour leading them from the shadows of the ground floor to the light of the top floor. On the right, the billiards room contains family portraits and drawings from the famous collection of “souvenirs” from his travels. It opens onto the tapestry room with hangings framed in oak, where the old photography study is hidden. Then there is a workshop which opens onto the garden. The tiled hallway, with walls and ceiling covered with porcelain, leads to the vestibule which gives access to the dining room with its walls of Delft tiles framed in wood. 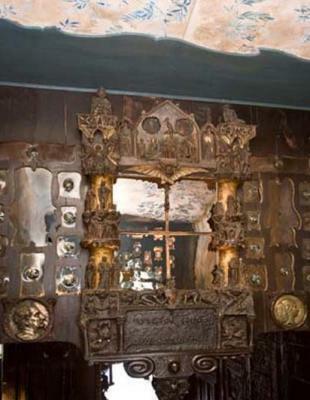 Two large lounges, red and blue, are sumptuously decorated with Chinese curios. In these rooms the writer and his family received their guests. The oak gallery, a solemn room resembling a study and a bedroom with a Renaissance-inspired decor, evokes a man in exile. On the landing on the same floor, the library contains books that the poet chose to leave in his exile home. It offers a symbolic passage to the third floor. Where Victor Hugo in his “look-out” gave free rein to his imagination in the contemplation of the sea and observation of the French coastline. Where the oak of the United States of Europe grew. 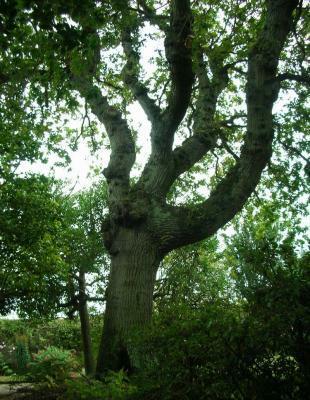 It was planted by Victor Hugo in 1870 after his return from exile to mark his continuing presence in Hauteville. Facing the sea and the Channel Islands, this place was ideal for daydreaming and reading.